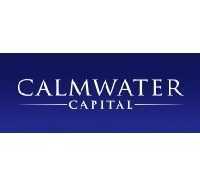 WASHINGTON, D.C. – (RealEstateRama) — Calmwater Capital, a leading, national direct real estate lender, has originated a $36.7 million loan for Remington Nevada to refinance existing debt and finance remaining construction of the Mountains Edge Marketplace in southwest Las Vegas. Once completed, the 101,000-square-foot retail property, anchored by Albertsons, will be located at the corner of Blue Diamond Road and South Buffalo Drive, adjacent to the Mountains Edge master planned community. The Calmwater-provided credit facility comprises a $16.6 million senior secured term loan and a $20.1 million delayed draw term loan for future construction costs, tenant improvements and leasing costs. Mountains Edge Marketplace is located at the entrance to the 14,000-home, Mountains Edge Master Planned Community, one of the top-selling master planned communities in the country from 2010 to 2014. The property’s grocery anchor tenant, Albertsons, opened its 55,000-square-foot store in April. Remington Nevada has secured a variety of regional and national tenants which will open doors upon the property’s completion including Chase Bank, Burger King, Del Taco and Orange Theory Fitness. Remington Nevada, a premier commercial real estate development company in the Southwest, acquired the 21-acre site in 2015. The property is slated for final completion in late 2018. It is one of the few grocery-anchored shopping centers to be developed in the immediate area, making it a prime location for junior anchors, shop tenants and restaurants. Calmwater Capital is a leading, nationwide direct real estate lender that delivers certainty of execution, flexibility and speed to borrowers. Specializing in $5 million to $50 million senior and mezzanine bridge loans that fall outside the capabilities of traditional lenders, Calmwater has originated more than $1.6 billion in commercial real estate loans throughout the United States in the office, industrial, retail, multifamily, hospitality and special-use sectors. In 2017, Calmwater continues to diversify its investor base by raising capital from top endowments, pension funds, international family offices and other institutional investors. For more information on sponsorship and investing opportunities, visit www.calmwatercapital.com. Calmwater Capital, a Los Angeles-based provider of commercial real estate debt, has originated a senior secured term loan to Edwards Companies for its acquisition and redevelopment of a 362,720-square-foot office building in Downtown Columbus, Ohio. The sponsor plans to redevelop the property, located at 155 E. Broad St., into a mixed-use property comprising residential, office and hotel space.